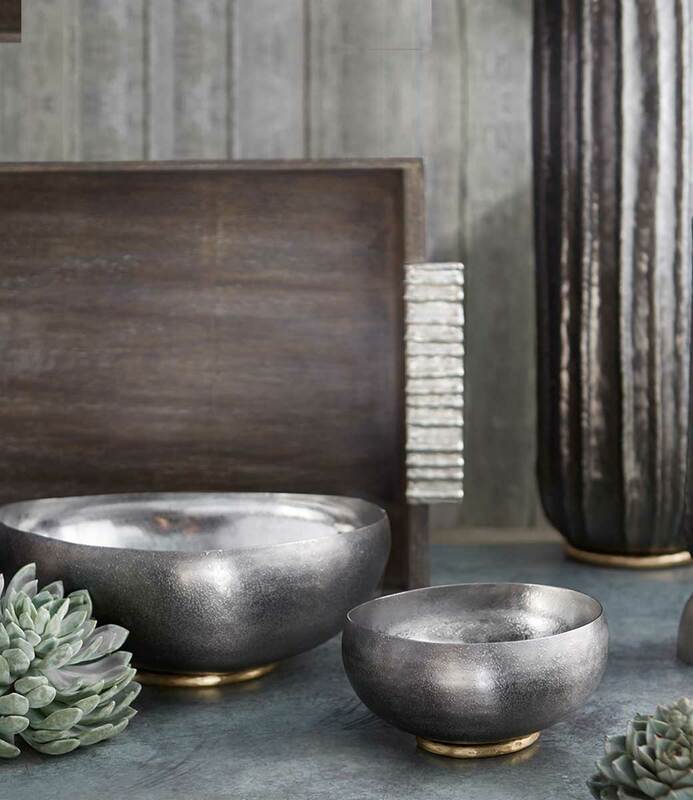 Drawing on the rich culture of art, craft, and architecture from the Mughal and Bahmani dynasties, Ira Studio’s Bidri collection is inspired form the Persian techniques of inlay developed by 17th century artisans from the Deccan region. The Fatehpur Tray features delicate strands of pure silver inlaid in a simple, linear pattern, offsetting the dark zinc base with a graceful contrast. An artisanal must-have for rustic homes. With a minimal approach, juxtaposing clean lines with bold shapes, the trays are entirely hand-made using complex techniques that require precision, care and control. Wipe clean with wet cloth. 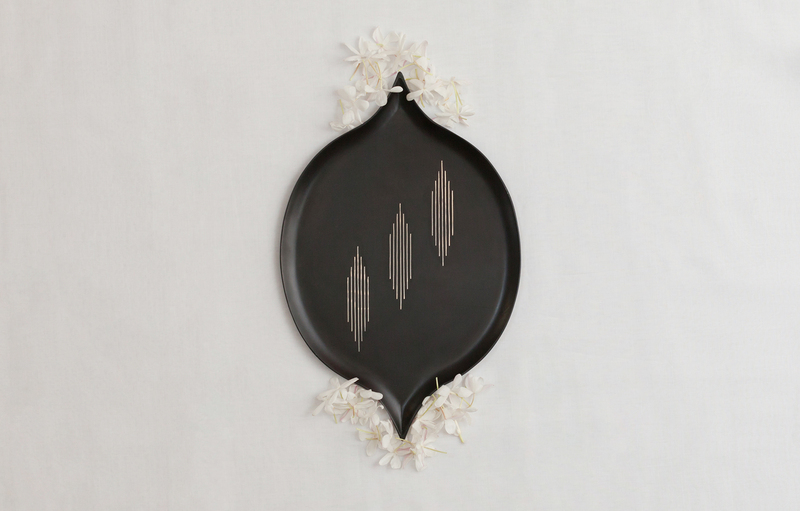 Ira Studio was started with the purpose of hand-crafting exclusive interior products using traditional Indian craft practices that are otherwise considered anachronistic. Collaborating directly with master craftsmen, the brand uses skills and techniques that have been mastered over generations to subtly synthesize the timeless elegance of these aesthetics with contemporary design sensibilities. Focusing on reviving and reinventing antiquated craft processes, their master craftsmen lovingly hand-make each unique piece as a single or limited edition item. The products echo the honest quality of handmade processes. Designed to remain timeless, ageing gracefully to develop its own unique aesthetic, each Ira Studio piece becomes more striking with time.